If you haven’t looked into mobile shredding services before, this is the perfect opportunity to figure out what it’s all about and if it could potentially benefit you! 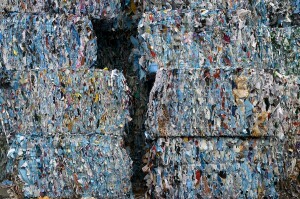 First and foremost, mobile shredding is not just for businesses. If you wanted to have someone come to your home, that is always an option. If you have a few boxes of paperwork that you need to have destroyed, mobile shredding really is the best way to go. Not only does it make it easier on you because you don’t have to carry all of your paperwork to a facility, but it is typically cheaper than a drop off location when you have reached a certain weight. Most mobile shredding companies also give you the option to watch your paperwork get shredded which is always nice. You can say you want onsite shredding and they will shred everything right in front of you! Find a contractor to help with your mobile shredding by filling out our form to the right, or by giving us a call. Once you select the contractor that fits your needs, they set up a time and day to come to your location. Then, the mobile shredding truck shreds everything right in front of you so that you can witness your documents being destroyed. After everything is shredded (which typically only takes a few minutes) they take your paper to their facility where it is baled, and then taken to be recycled. Mobile shredding services are extremely easy on you, and they can actually save you money as opposed to trying to do everything yourself, or going to a drop off location with too much paperwork. If you need mobile shredding services, Shred Nations is here to help! To get started, fill out the form to the right, or give us a call at (800) 747-3365. Within minutes, you’ll have free quotes from local mobile shredders to choose from.